Social media is the most powerful communication tool since the Internet itself. Most companies, though, are barely tapping into its potential. Want to maximize the power of social media to boost your sales? Here are twelve activities you should be doing regularly. Having a sale? A special offer? An event of any kind? Publicize it on every social media channel. People are paying less and less attention to traditional forms of advertising and more attention to social media. In fact, 29% of people on Twitter follow a brand and 58% of Facebook users have liked a brand. A simple way to build followers, buzz and sales is to offer promotions exclusively to the people who follow you on various platforms. Exclusive deals give potential customers a strong incentive to “like” and follow you. A Havas Media survey found that 77% of people like getting exclusive offers that they can redeem via Facebook. As a bonus, your fans will also share “their” special deals with their friends and followers. People don’t consume media to see advertisements. They consume it to be informed and entertained. Especially entertained. Which is why humorous posts, photos and videos get shared so much more than other types of content. If you want potential customers to pay attention to you, entertain them. While social media audiences are looking for entertainment, they’re also looking for information. So give it to them. What information do you have that can help your prospects and customers be better buyers? Or better users of your products? Or simply better at something in their lives or jobs? You have enormous amounts of expertise within your company. Share it socially via text, photos and videos. Announce new products (or services) on social media to build buzz. You can even test market new products by making them available to your followers before anyone else. Ever wish you could eavesdrop on your customers to learn what they’re really saying about you? You can! According to recent studies, 39% of people on Twitter have tweeted about a brand and 42% of Facebook users have mentioned a brand in a status update. And that’s not counting all the people who post reviews on sites like Yelp, Citysearch, TripAdvisor and Google Places. What are your customers saying about your company online? Often, when your customers have a problem with your product or service, they won’t bother to tell you. But they will tell hundreds—or even thousands—of people online. This is actually an opportunity for you, because it gives you the chance to resolve your customer’s problem. And because you’re doing it in a public forum, others can see your response, building trust. Some of your customers are more vocal than others about how much they love your company, product or service. Your online responses to their social activity can either encourage or discourage them. If you ignore them (30% of customer questions & compliments get no reply), they’ll talk about you less. If you publicly thank and praise them, they’ll talk about you even more. To reward and encourage your evangelists further, give them additional discounts, bonuses and upgrades. Want to know what your competition is doing? Follow their social media pages. Want to know what their customers think of them? Monitor Facebook, Twitter and other platforms for mentions of their names and look them up on review sites for competitive intelligence you can’t get anywhere else. Social media is not just about broadcasting. It’s about dialogue. Asking questions of your customers and prospects causes them to feel more emotionally connected to your company, strengthening brand loyalty. It’s also an efficient and effective way to gain valuable ideas, insights and feedback about your products and services. Asking questions, of course, does no good if nobody is actually listening to the answers. You need a system in place to not only monitor the online discussions of your industry and brand, but also to record, collate, analyze and use all that raw data. How can you create a process to do that? What works on social media? All kinds of things. What doesn’t work on social media? All kinds of things. Which means, unless you want to continually be a runner-up to your competitors, you need to experiment. Innovate. Try new things. Is there a risk in doing that? Of course. But the risk of not doing it is far greater. How many of these actions are you engaging in consistently? If you’re like most companies, probably only three or four. Create a plan (and a team) for executing all twelve and you’ll be rewarded with more followers, more loyalty and more sales. Six seconds may not seem like very much time. Certainly not enough to accomplish anything substantial. And yet it’s plenty of time to make a difference in your sales. Listen to my appearance on Breakthrough Business Strategies Radio with Michele Price. 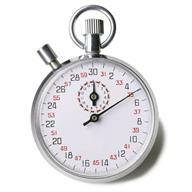 In this seven-and-a-half-minute segment, I discuss how much impact you can make in six seconds. And I share not just one way to boost your sales that quickly—but SIX ways!! To learn more about Michele Price and listen to her interview other business experts on Breakthrough Business Strategies Radio (which I absolutely recommend), check out WhoIsMichelePrice.com.